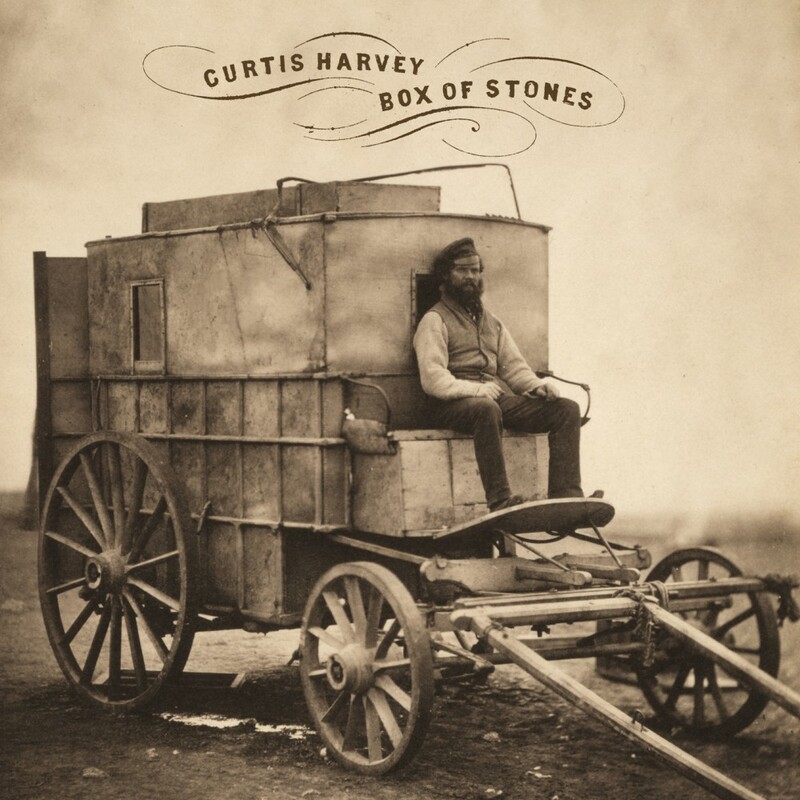 From the first, Curtis Harvey's solo debut, Box Of Stones, reveals itself as quite a departure for the man best known until now as the prodigious multi-instrumentalist behind Rex and Pullman, among others. 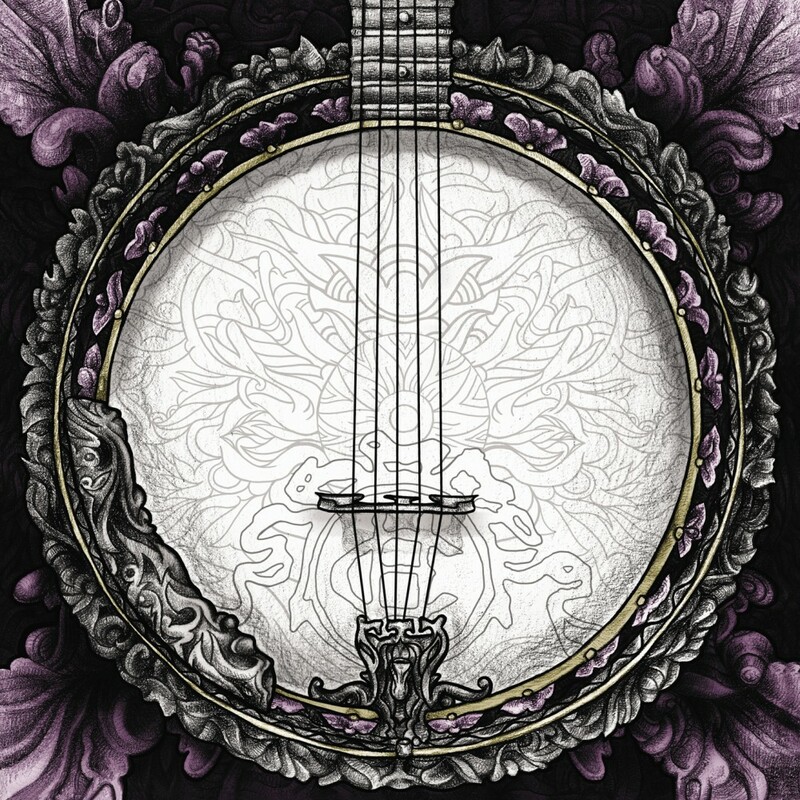 While Harvey is loath to cite specific musical inspiration for his first solo outing, he admits that his first exposure to live music was an aunt and uncle's bluegrass duo, and that records from the likes of the Carter Family and Bill Monroe, as well as contemporary neotraditionalist Gillian Welch, get a lot of airtime in his house. Box Of Stones certainly pledges allegiance to the acoustic-folk mode and embraces traditional song structures, but stylistic permutations shine throughout: from dark campfire sing-along "Seen," to bright, Fahey-esque instrumental "Nod," to the driving carnival blues of album closer "Bad Patch." But more than any artist or style, Harvey is inspired by his life experiences: relationships as they begin, end, evolve; his own aging process; witnessing the metamorphoses in his daughters (6 and 8) - and himself - as they grow. Recorded in the small studio in Harvey's basement, Box Of Stones' compelling immediacy owes much to his immersive process, with Harvey playing everything and often recording the vocals in only one take; for percussion, Harvey says, he used "whatever happened to be [around] at the time: bottles, pencils, pots and pans, an old snare and bass drum." For "Seen," Harvey recorded the audience at a live show at Brooklyn's Union Pool as they accompanied him on the chorus. When it came time to record the piano-driven "Bad Patch," Harvey became a home recordist MacGyver, drilling holes into the walls in order to run cables into the room with the piano. The tracks were taken up the road from Harvey's home in Beacon to a studio in Highland Mills, where he mixed them with Jeremy Backofen (Mice Parade, Felice Brothers). The result is an intimate, live sound, perfect for this group of deeply personal songs. Though Harvey's recorded output has been minimal since Pullman's 2001 album Viewfinder - consisting of the sole release by the Curtis Harvey Trio, a brilliant cover of "Changes" for 2005 Black Sabbath cover compilation Everything Comes And Goes and a Pullman song for Thrill Jockey's 2007 anniversary compilation - Harvey explains that he's never stopped recording or writing music, despite the break from making records. Harvey played songs off this record live from early 2006, sharing stages with Califone, David Grubbs, Chris Brokaw, and labelmates Mice Parade, Tom Brosseau, Gregory & The Hawk, and Silje Nes.